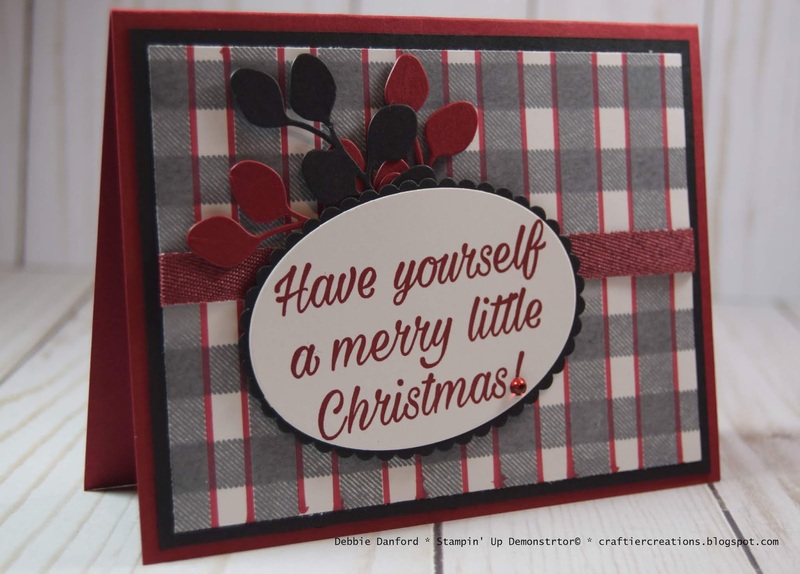 Craftier Creations: Year-End Closeout Sale! 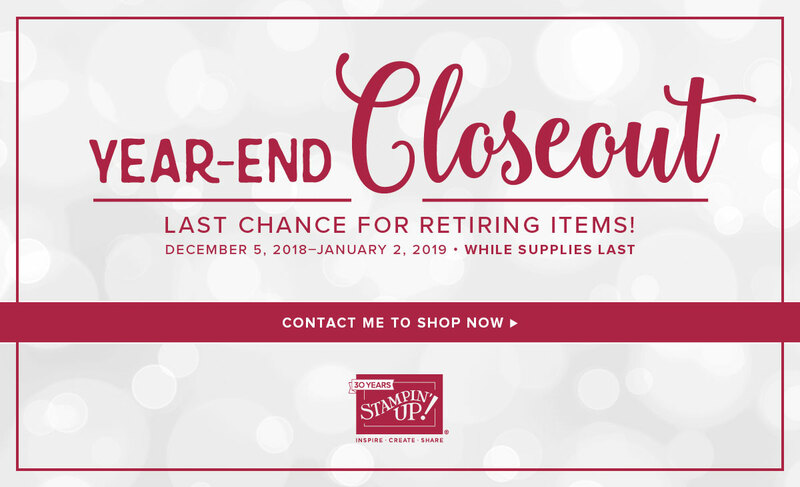 It's time to grab your favorite items before they are gone! This promotion only last until January 2, 2019 or while supplies last. So..shop early. 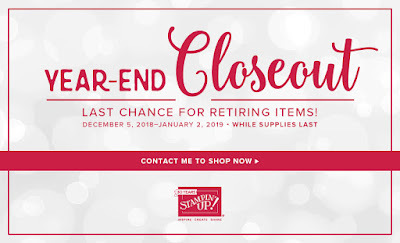 Click here to shop for all retiring products. Click here to shop for all discounted products. Carry Over List - this is what Stampin' Up is carrying over from the Holiday Catalog. I have to say I love this Buffalo Check Stamp. It is so versatile. Because it is a larger stamp I have been using the Stamparatus to stamp this with. That way if you get a couple of spots that aren't as dark as you like, you can just ink it up again and re-stamp. On Whisper White stamp the Buffalo Check in Basic Gray. 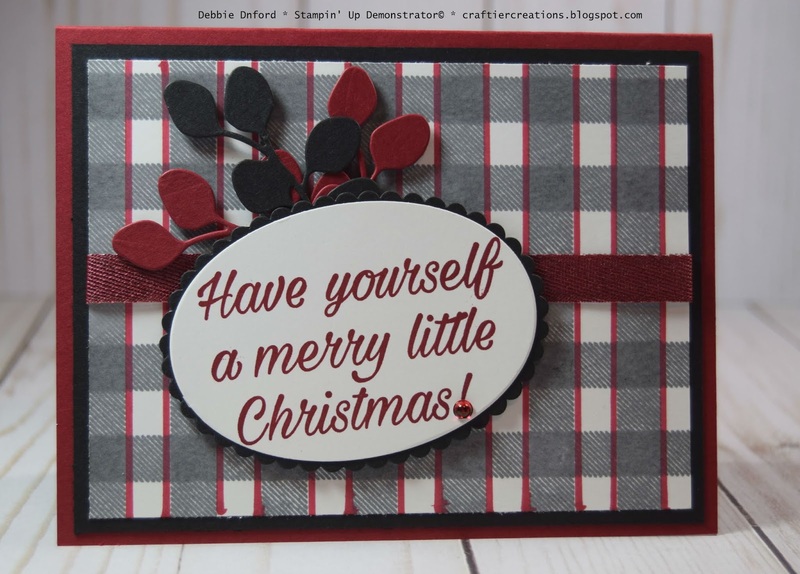 Now to get the Cherry Cobble stripe on it, I just took a ruler and the Cherry Cobble Stampin' Write Marker. 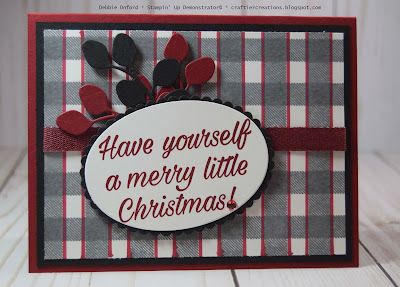 Stamp greeting on Whisper White with Cherry Cobbler and die cut . 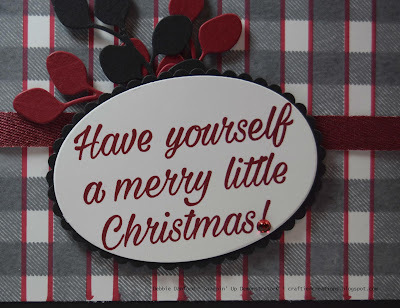 Die cut the layering oval out of the center of the Basic Black layer. Punch a Basic Black and a Cherry Cobbler leaf and attach to the back of the Ovals. Color the Whisper White Ribbon with the Cherry Cobbler Stampin' Marker. Attach all layers and attach the Ovals with dimensionals. 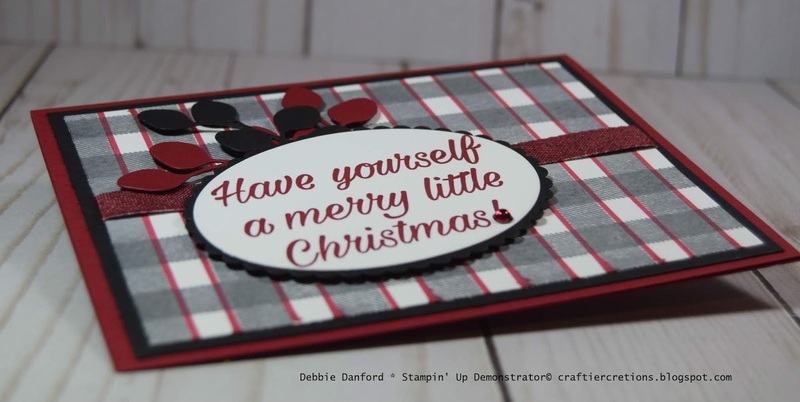 Color a Clear Epoxy Droplet with the Cherry Cobbler Stampin' Blends.